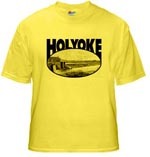 Much speculation is heard from time to time as to the large number of clubs that are being run in Holyoke, as revealed by the dances heralded here or there for this or that club’s benefit. 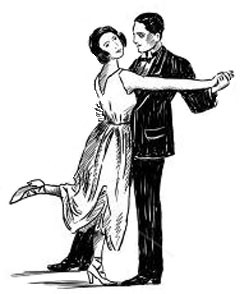 There are clubs and clubs’ clubs that have a large membership ad own or rent commodious quarters; smaller clubs that rent a room or two; clubs that meet at regular periods for literary, musical or social ends; and last but not least, in number, the club which is organized for the apparent sole purpose pf holding a dance about once a year. It is only within two or three years that the clubs of the latter kind have flourished. 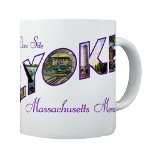 Their success is said to have arisen from the success of a “club” that shall be nameless, but which consisted of six young men, just about enough to appear upon the cards as “floor manager,” “aids” and “program committee.” these six wise Holyoke young men viewed the situation carefully and decided that the Holyoke public was yearning for a big dance at the city hall. According to the story, they laid their plans with great care. First a humble notice appeared in the Holyoke papers that there would be a meeting of young men at a certain place to form a club “for social and literary purposes/” Then, the day after, the press committee dragged into the publishing rooms of the papers aforesaid an item setting forth the list of officers selected, their headquarters and membership. One or two ore items were evolved with nice care, and then came the announcement that the newly-formed “club” would hold a ball in city hall. The six young men got busy with tickets. They got several hundred nicely printed, headed the “First annual ball of the _________ club.” They were well acquainted about the city and interested others to sell them as well as themselves. As a result, the city hall was crowded — with 460 or 500 dancers — and after paying expenses the “club” of six had the little “wad” to divide among themselves, which the proceeded to spend in riotous living and much lightheartedness. Since that time numerous clubs have been formed of a like nature, but the matter has become so thoroughly understood among the Holyoke dancing sets that no one concerns himself or herself much with the “club.” All that the club does is to give a pleasant evening’s dancing to from 100 to 250 couples. The club then pays the expenses of the hall, music and decorations and then divides the net results per capita and waits as patiently as may be for another year. Clubs of young women, as well as young men, are interested in and carry out successfully these dances, the larger part of which are being held at Windsor Hall. Most of them are held Friday or Saturday evenings, and the attendance runs from 150 to 500 people. The dances are well conducted and seem to be enjoyed to the full, every one seemingly getting their money’s worth. Many of them have an entrance fee of 25 cents, but some are 50 cents. The only objection that prevails against them seems to be the general objection against promiscuous dances. Here are a list of the clubs that have held, or are to hold, dances at this hall. Young women’s clubs — Bluebell, Violet, Carnation and “H.A.F.” Men’s Clubs — Arizona, Liberty, Monitors, Oriole, Oxford, Carlton, Crystal, Elite, Rhymers, Gaiety, Olympian, Jolly Five, Cynthia, Century, Pansy, Beloin, Biscuit Shooters, Nyasset and Columbia, besides several athletic associations.